if there is anything that screams christmas to me it is candy canes. the look of them, the smell, the flavor…. we even hang them on our christmas tree because to me they just mean christmas is here. so i paired them up with my favorite cream cheese cookies + cream cheese icing to make these festive cookies that not only look like christmas, but taste like it too! the cookie base is really just like a sugar cookie. 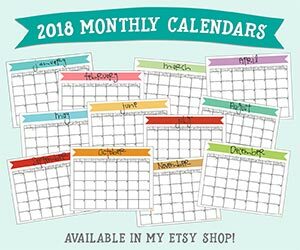 though they’re not the kind you roll and cut out with cookie cutters – you scoop them onto the baking sheet with a small ice cream scoop (aff link) and can either bake them just as they are for a taller, fluffier cookie or you can flatten them to give them a smooth, level surface to spread your icing. either way, they are delicious, really soft, and super easy to make! 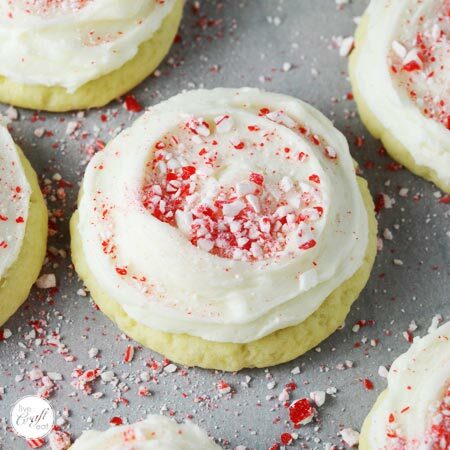 all you need to make these cookies + frosting are: flour, sugar, butter, cream cheese, an egg, baking powder, lemon juice, powdered sugar, and crushed up candy canes. 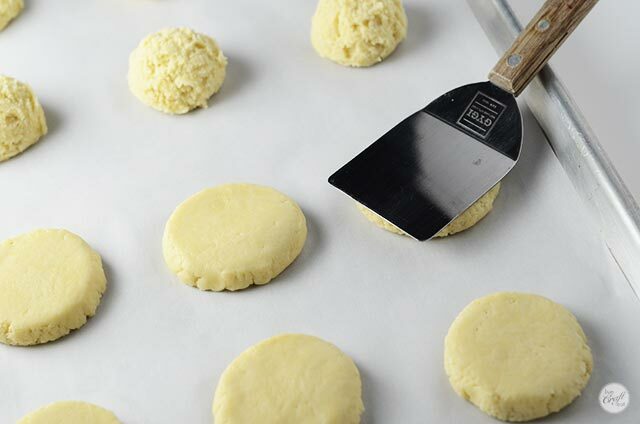 after you’ve got your cookie dough mixed, you can use a small cookie scoop to get the cookies onto a parchment-lined baking sheet (aff link). here is where you can either leave them in the mounded ball form and they will only flatten slightly (but you can still pile on the cream cheese frosting!) 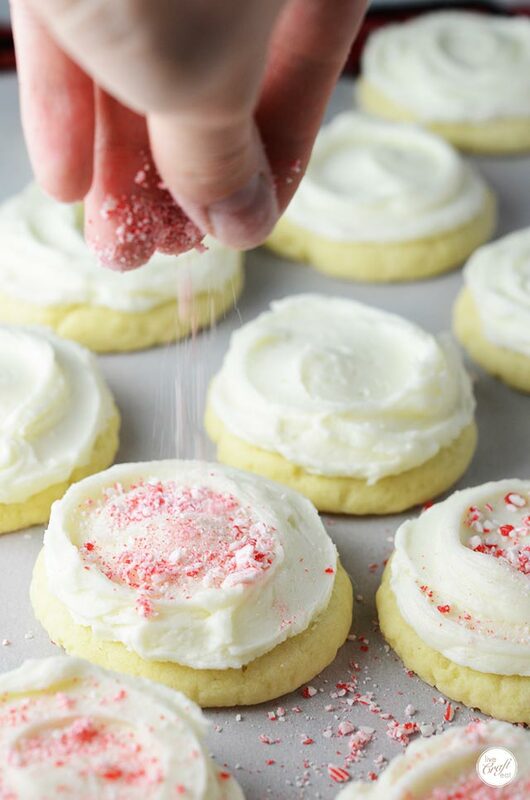 OR you can use the bottom of a flat glass or spatula (aff link) – with a little-softened butter spread on the bottom of either – to flatten the cookies and get the smooth surface that you usually get with sugar cookies. after they’re baked, make the cream cheese frosting – this is seriously the best stuff! cream cheese anything, really, is just perfect in my books. once the cookies are done cooling on the cooling rack (aff link) i stick them in the freezer for a few minutes to make sure they’re not going to break apart while i put the frosting on. when they’re ready to go i put a big pile of the frosting on the cooled cookies, make sure the surface is covered, and then use the tip of my small offset spatula (aff link) to push down lightly in the center of the icing to make a place for the candy canes to fall into. these cookies and cream cheese frosting are perfect as is and you can make them year round – not only at christmas time! if you want you can top them with chopped nuts, or because i’m making these in december this time around, you can sprinkle on some crushed candy canes. candy canes last a really long time, so after christmas each year i buy a whole bunch of them on sale (and save myself a few dollars while i’m at it) which means i’ve got a whole bunch on hand for making things like candy cane popcorn when december rolls around again. you can either break up the candy canes and pulse them in your blender (aff link) or food processor a few times, or you can simply place them in a plastic ziploc freezer bag and let your kids go to town with a wooden spoon. either way works, and you can make them as fine or as coarse as you want. when you’re all done you’ve got these amazing-looking (and -tasting! 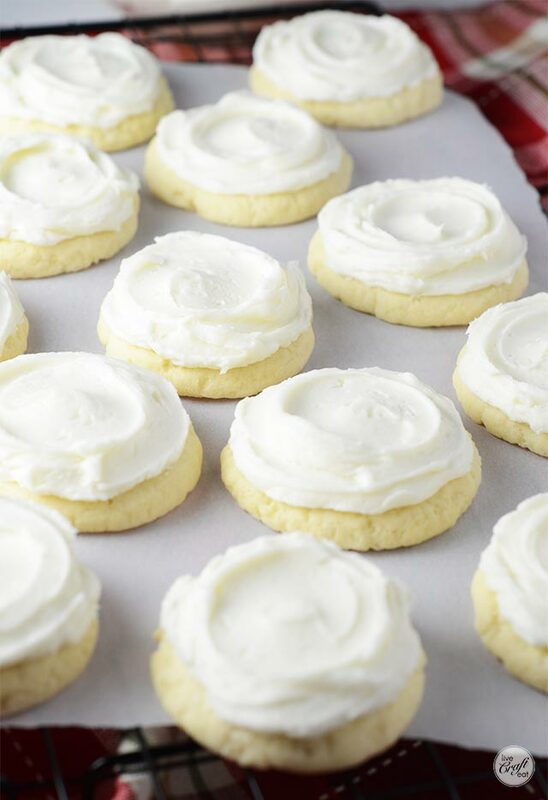 ), soft, melt-in-your-mouth cream cheese sugar cookies with the best cream cheese icing out there! and the peppermint from the candy canes just brings this recipe over the top. 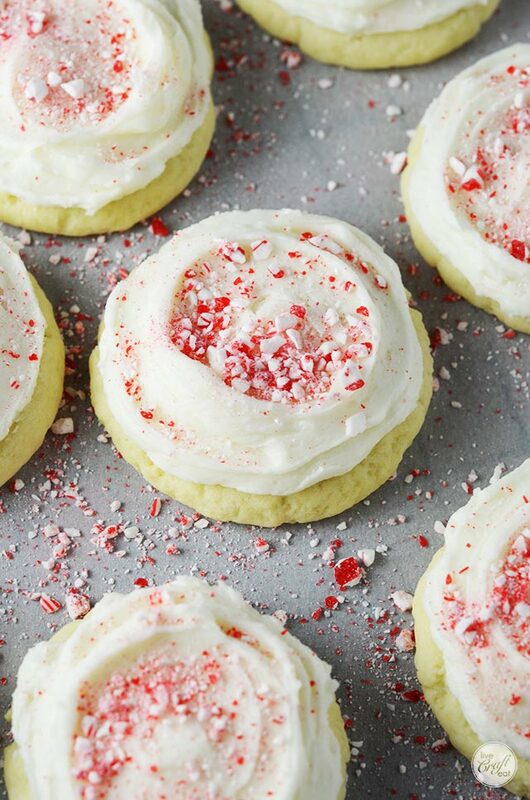 these are perfect for cookies for santa or for neighbor gifts or cookie exchanges. or just for having at home for your family over the holidays! be sure you hide a few for yourself because they do go fast! merry christmas, and happy cookie-making! here’s the recipe! beat cream cheese, butter, and sugar until smooth. add egg and lemon juice and combine. mix in baking powder and flour. use a small (2 tablespoon) cookie scoop to place on a parchment-lined baking sheet. cookies with only flatten slightly, but you can use the bottom of a flat glass or spatula to flatten the cookies before baking if you want them smooth and flat. bake at 350 for 10-12 minutes. cool on a cooling rack and then transfer to the freezer for a few minutes before icing. 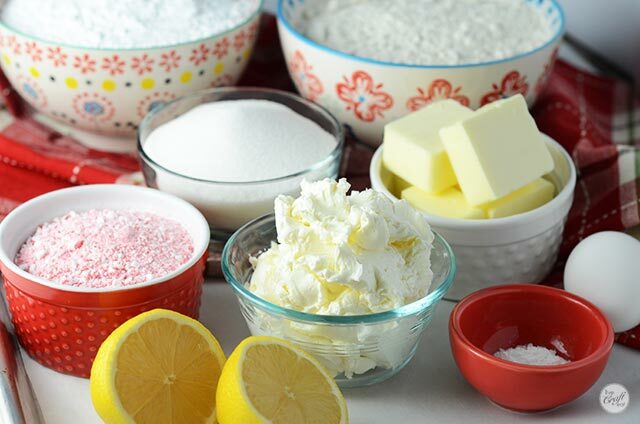 beat together the butter, cream cheese, lemon juice and half of the powdered sugar until you reach a smooth consistency. add more powdered sugar 1 cup at a time until you get a thick but spreadable icing. eat as is, or sprinkle on chopped nuts or crushed candy canes! enjoy! if you like this post/recipe, make sure you pin it so you can share it with friends and save it for later! if i’m just leaving them out for a few days i don’t refrigerate them. when you put them in the fridge they can get kind of crumbly and the icing doesn’t stay soft. they’re ok to sit out at room temp for a few days.